Yuzu new songs titled ”Yorokobi no Uta” and “Sugao no mama de” are decided to be the insert songs for Fuji TV dorama titled “” which will be aired on 8th January. 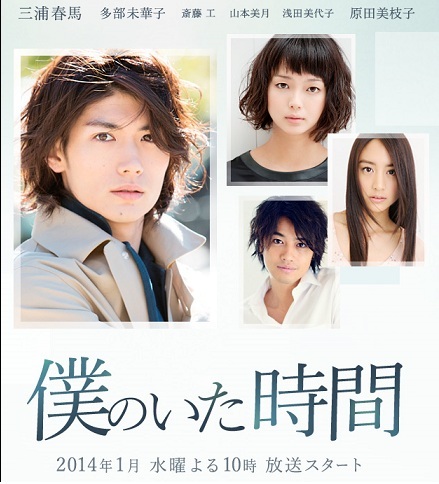 Miura Haruma will be the lead actor of the drama, where Tabe Mikako will be the heroine in “Boku no Ita Jikan”. This drama is a human drama that will explore a life of someone who was left in certain life expectancy who still has to struggle for a job hunting while suffers from incurable disease. The insert song “Yorokobi no Uta” is a song which is written by Iwasawa Koji based on the script of the drama, meanwhile the other image song “Sugao no mama de” is a love ballad song, which is written by Kitagawa Yujin. As a big fan of Yuzu, this time Miura Haruma gave an inspiring comment, “I am really happy that I can borrow Yuzu’s music to the work which I participate in, as they are the artists that I like since I was in junior high school. Sometimes when I realize…my dream came true, once more my dream become reality, I will shiver when I remember“. YUZU Announces First Asia Tour!